As you have probably heard by now, Windows now comes with something amazing called WSL - Windows Subsystem for Linux. What WSL does not natively support is running graphical applications, aka. X applications. Trying will result in: Error: Can't open display. In Fedora you'd use dnf instead of apt, naturally. Fedora 26 was released earlier this week. I wanted to test how it works on Azure, and since Fedora is not currently available from Azure Marketplace I had to create my own VM image. Here is a small how to document I wrote during the exercise, feel free to try it out yourself! I used the Server edition since there's not much use for the graphical tools on Azure. NOTE! do not make snapshots/checkpoints during VM creation. Otherwise exporting the image becomes difficult at least in Hyper-V.
After installation is complete turn off the VM and remove the installation DVD ISO drive if needed. 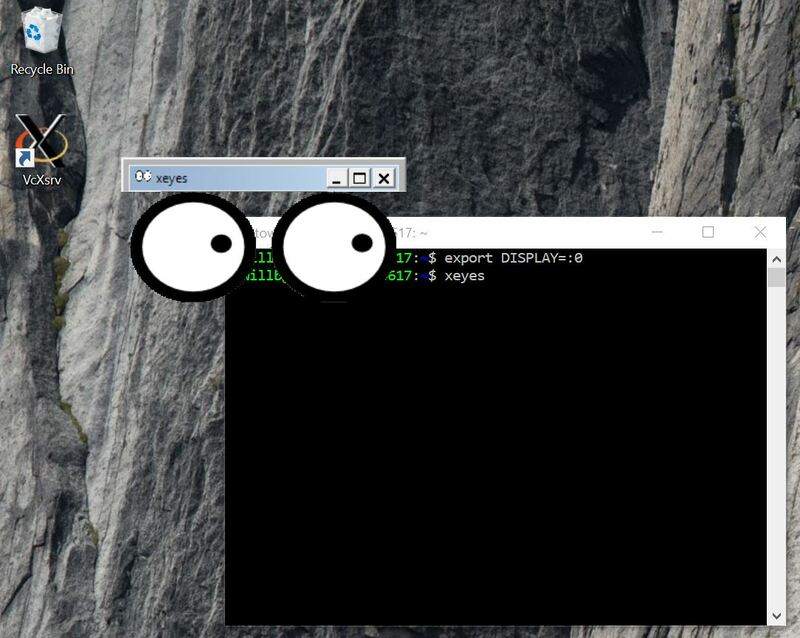 Linux VMs need to be modified a bit to be Azure compatible. Reboot and verify you still get an IP address. Much easier to fix at this point if you broke something. GRUB_CMDLINE_LINUX="rootdelay=300 console=tty0 console=ttyS0 earlyprintk=ttyS0 net.ifnames=0"
On your virtualization manager convert the disk to .vhd + fixed size file fedora26.vhd. The exact procedure depends on your hypervisor technology. 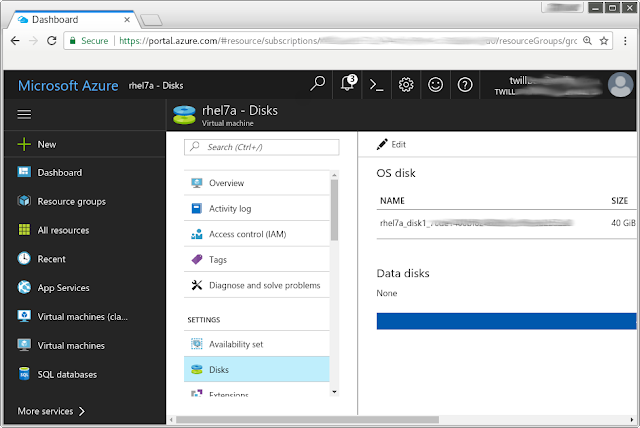 Upload the fedora26.vhd to Azure as "page blob" via Azure cli or portal. In this example I used "rg1" and "container1". At this point your new Fedora 26 server VM should be created, up and running happily. Disclaimer: I work for Microsoft as Cloud Solution Architect since 2017/06. So you have created a Linux VM in Azure with too small disk? Resizing the disk is possible, but requires couple of steps which I will describe here. My resource group is named "group1" and the VM is named "rhel7a". The Linux VM I used is a RHEL, but the commands are applicable for at least CentOS and Fedora as well. First step is the enlarge the device on Azure. The filesystem on /dev/sda2 is now 10222020 blocks long. 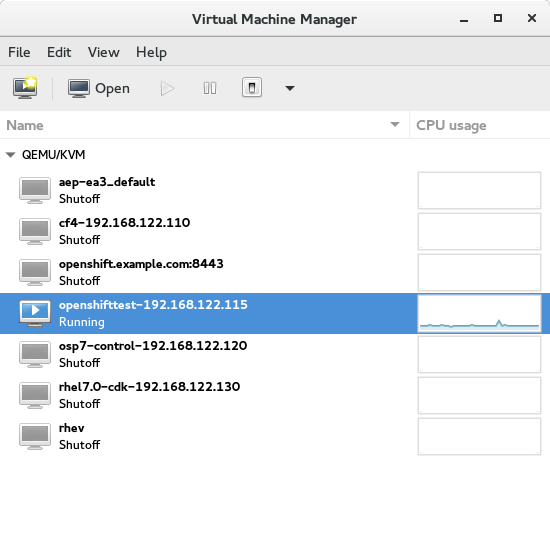 I wanted to setup OpenShift demo on my laptop running on a virtual machine, running on IP 192.168.122.115 with Virtual Machine Manager. 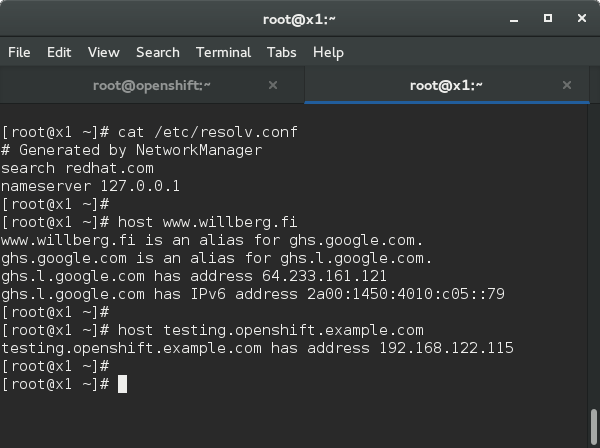 OpenShift requires you to have a working DNS with wild card resolver, for example *.openshift.example.com should resolve to the IP address of the VM. Usually you would insert required IP addresses to /etc/hosts -file, but it doesn't support wildcards. This is where dnsmasq comes very handy, it's a simple local DNS server which can be easily configured for this kind of setup. The trick here is that dnsmasq and NetworkManager overwriting your /etc/hosts -file will cause some funny side effects every time you reconnect to a network. 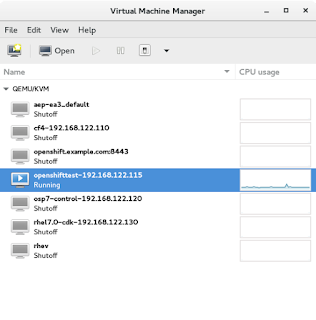 As we are replacing the normal dnsmasq configuration, it's important to bind to the network interface(s) needed by libvirt, and also to provide dhcp server to your VMs. Make sure the dnsmasq service is disable because NetworkManager will start it automatically. If it's enabled you will have problems. That's it, you are now ready to test everyting. Even when switching wlan networks and connecting to VPN networks the resolver should work. With this configuration dnsmasq will use the DHCP discovered DNS servers which NetworkManager gives it at the time of connection.